Erase skin imperfections with zero surrounding skin damage. Q-Switched Nd:YAG Laser is developed to remove most pigmentation, birthmark and tattoo inks quick and effectively. The laser system has developed outstandingly in accuracy and precision, making the treatment safe with less complication nowadays. The laser is very effective on epidermal (superficial) and dermal (deep) pigmentation. The specific laser wavelength that is very sensitive to specific color is chosen to target on the lesion, sparing the normal surround tissue. For deeper pigments, the nanosecond pulse will penetrate the skin without breaking it and break down the deep pigments into small peptides to be absorbed with the help of the white blood cells. What is the advantage of this laser? The lesion can be treated precisely and accurately with minimal complication. The normal surrounding tissue is spared and preserved during the treatment. The improvement is fast and complete. What does this laser treat? Birthmark e.g. naevus of ota, café au lait, Mongolian spots. What do I expect from the laser treatment? You may feel some pain during the treatment. The pain is mild and is similar to snapping the skin with rubber band. Anesthetic cream can be applied before the treatment. The treated area may form crust that may disappear after 3-7 days. Use sunblock regularly once the crust disappears. What is the possible side effect? 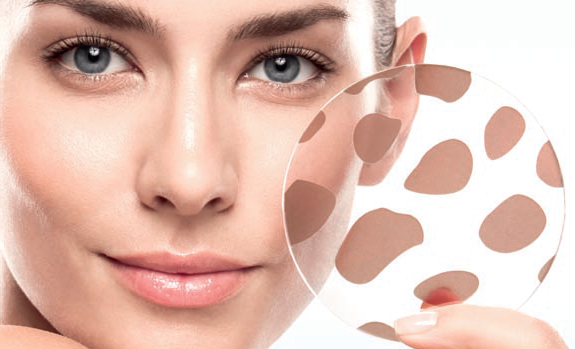 Temporally pigmentation changes may occur depending on the skin type, but that will improve after 2-4 weeks.